With this sixth issue in the Horizon Series, the Royal Concertgebouw Orchestra once again confirms its commitment to contemporary music. It features a mix of world premieres, RCO-commissioned works and other recently written music, opening with house composer Detlev Glanert's expressive 'Frenesia'. Vladimir Jurowski conducts the RCO and Janine Jansen in Michel van der Aa's eclectic Violin Concerto. The Belgian spectralist composer Luc Brewaeys is represented with two works: Symphony No.6 and 'Along the Shores of Lorn', conducted by David Robertson and Otto Tausk. 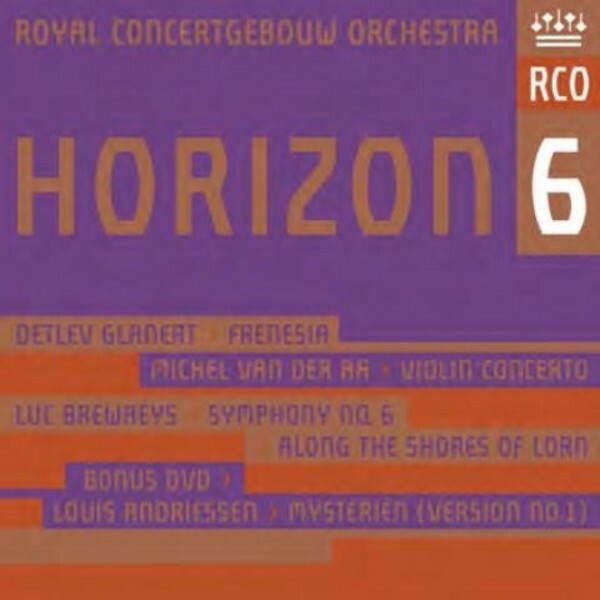 This SACD comes with a bonus DVD containing the world premiere of Louis Andriessen's 'Mysteri�n' (Mysteries), an historic event marking the 125th birthday of the RCO.